A long time ago (June 6, 1983)… In a Galaxy far, far away (Los Angeles)…Was the night of the first screening of Star Wars “Return of the Jedi.” When you first look at this Star Wars autographed photo you can only imagine the thrill it would be to see a movie like Star Wars Episode VI, “Return of the Jedi”, on the big screen within the first week of it hitting the theater. Offered is an 10×14 scene still from that blockbuster hit movie featuring Princess Leia (Carrie Fisher) in her famous green poncho. 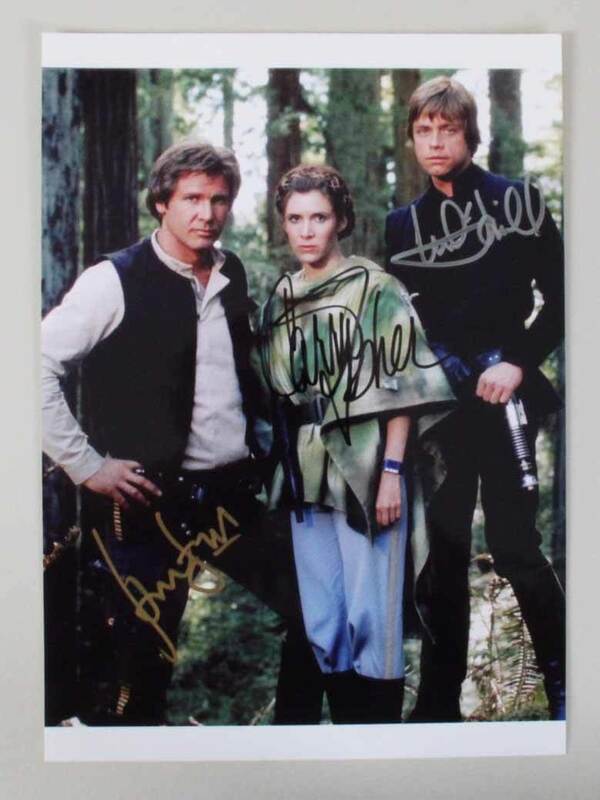 Signers in bold black/gold felt tip pen include Fisher along with fellow feature players Harrison Ford and Mark Hammill. 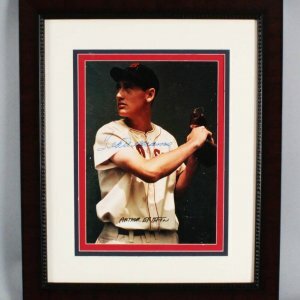 Overall, this autographed photo is something that rarely will have the opportunity to come to auction again. There are so many Star Wars fans out there. 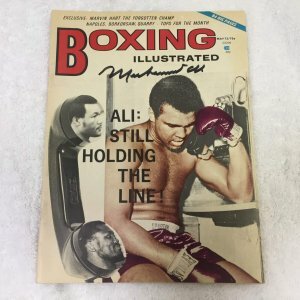 Now that the work is done, it is ready for a premier spot in your collection. May the force be with you!